Hala is five years old. She lives with her parents and two siblings in a cement factory on the outskirts of Alqosh, a sacred Assyrian town in the Nineveh Plains. Hala and her small family fled from their village in Sinjar in August of 2014 when ISIS arrived in the region. Hala’s uncle had a car in which he took both his and Hala’s family into the mountains to hide. The family spent a week in the wilderness before making their way on foot to the Syrian border before making their way to Kurdistan. The family live in poor conditions, sharing only one small, dark and damp room offered to them by the factory owner. Hala’s father has to work long, hard days in return, making around 400$ a month. 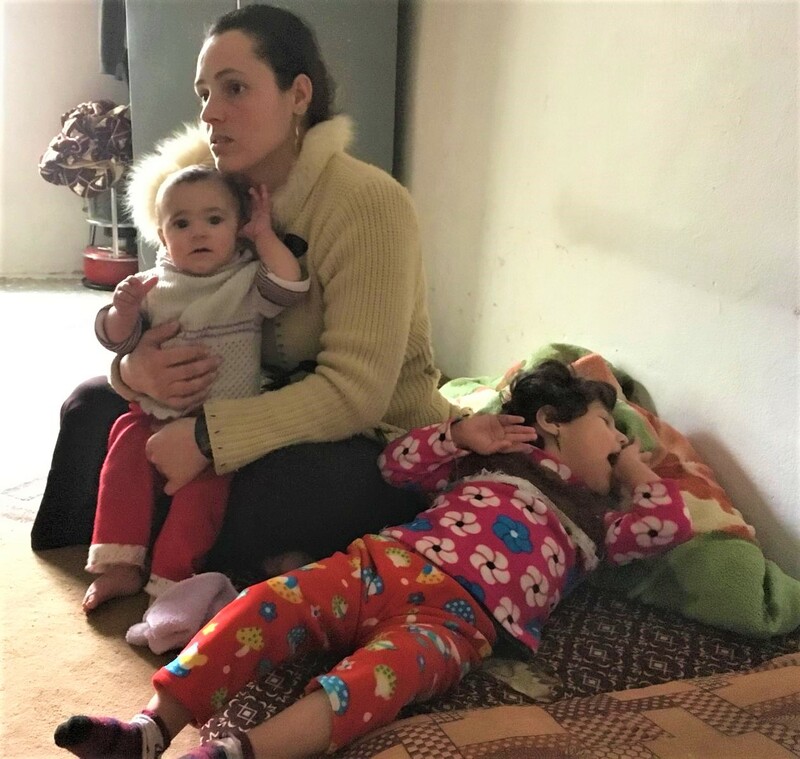 Though more than most IDPs in the region, Hala’s father is also supporting his and his wife’s parents who live in Esian IDP camp, tucked away in the mountains close to Duhok. Hala has suspected cerebral palsy. To confirm the diagnosis, Hala must undergo medical investigations. We would like to help the family cover the cost of these tests and support them through whatever care Hala will require thereafter. For the moment, we are providing er parents with milk formula and diapers. Donate and help us improve the quality of life of this cheerful, young girl.